Long-term target could join NUFC for free this summer after missing out on January move – Report – NUFC blog – Newcastle United blog – NUFC Fixtures, News and Forum. 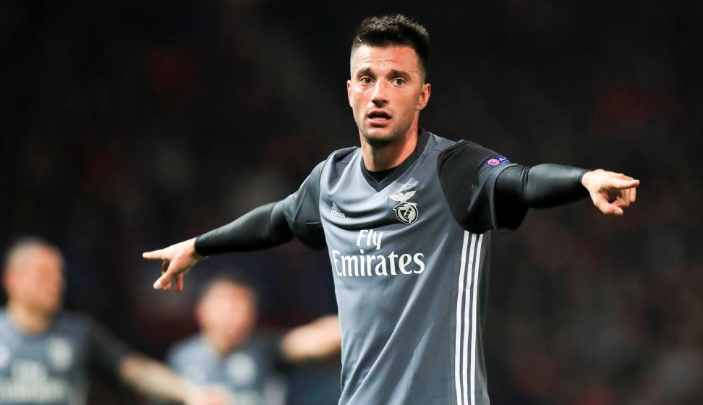 According to reports in Portugal, it is ‘inevitable’ that Newcastle will make another move for Benfica’s Andreas Samaris this summer – despite a ‘complicated’ January deal failing to materialise. It appears that Rafa is an admirer of the Greek midfielder – someone we’ve been linked with just about every window since we earned promotion – but he remained with Benfica despite talks with NUFC being confirmed on deadline day. Portuguese outlet ‘Record‘ claims we attempted to sign him via a ‘complicated short term deal’ last month – an offer which is said to have included an ‘option for him to sign a longer contract’ in the summer. New claims from Portugal that #nufc will move for Samaris in the summer. The move never happened and perhaps rightly so given Longstaff’s impressive form; although it seems Samaris is seen as replacement for want-away midfielder Isaac Hayden. What’s crucial is the fact Samaris is out of contract in the summer, so a player we were linked with a £16m move for over 18 months ago (not that I believed that report from the Mirror!) could yet arrive on Tyneside for nothing in a few months time. Time will tell, but with him turning 30 in June and our midfield options being strong when everyone’s fit, I’m a little sceptical on this one. Steve Taylor admits he’d ‘love’ to make NUFC return – but only once he’s hung up his boots..